Monserrath Martinez is a junior at Henry P. Becton Regional High School. 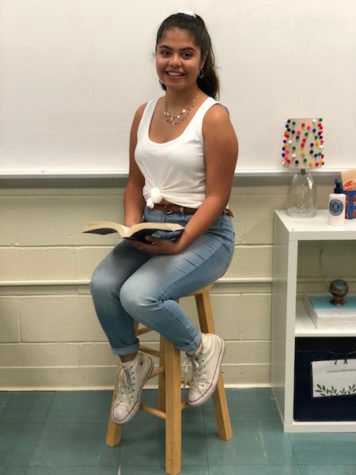 Monse is excited for the new school year and feels optimistic for any new opportunities coming her way. She loves to write and her hobby is drawing. One of her goals is to become treasurer of her class. Another one of Monse’s goals is to become a lawyer and earn a master’s degree in psychology. During the summer of 2018, the former sophomore worked at a daycare. "The opportunity to work with such beautiful humans is a pleasure,” she said. Working with young ones has pushed Monse to become a better person and gave her a better understanding of a mother’s hard work.